Our bodhrans are handmade using solid wood frames and cured skins. Belgarth Bodhrans are available in a number of sizes and designs. The most popular sizes are 12, 14, 16 and 18 inch diameters, although we can also produce, on request, 20 and 22 inch bodhrans. The drum frames have a finished thickness of 9-10 millimetres. The standard frame depth is 95-100 millimetres although deeper frames of up to 150mm can be made in all sizes. Prices for this option are available on request. The designs on the drums vary from simple wood finishes to hand-painted designs. 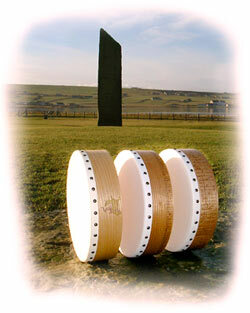 Belgarth Bodhran heads are all made from good quality goatskins. These are put through a process to thicken and soften them so that when "played in" the resulting sound is "strong and mellow". All our bodhrans can be fitted with a tuning system. This consists of an adjustable wooden ring which is moved against the skin. 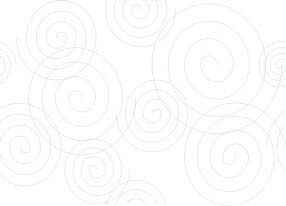 Because the skin tension can then be adjusted to suit, the bodhran is not so susceptible to the vagaries of atmospheric conditions (humidity, temperature etc). For more details of our tuning system, click here.